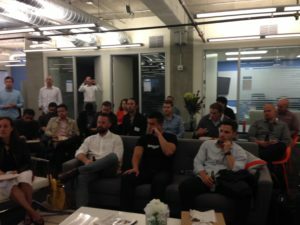 A HUGE thank you to Entelo and especially Vivek Reddy for hosting and moderating our Startup Sales Circle Meetup Group Event last week: Sales Leadership Night: Recruiting Sales Talent & Getting Hired. Scott Sambucci (that’s me! ), VP of Sales @ Blend, Founder @ SalesQualia; formerly VP @ CoreLogic and COO at Altos Research. What are some of the skills that are lacking in potential sales hires? 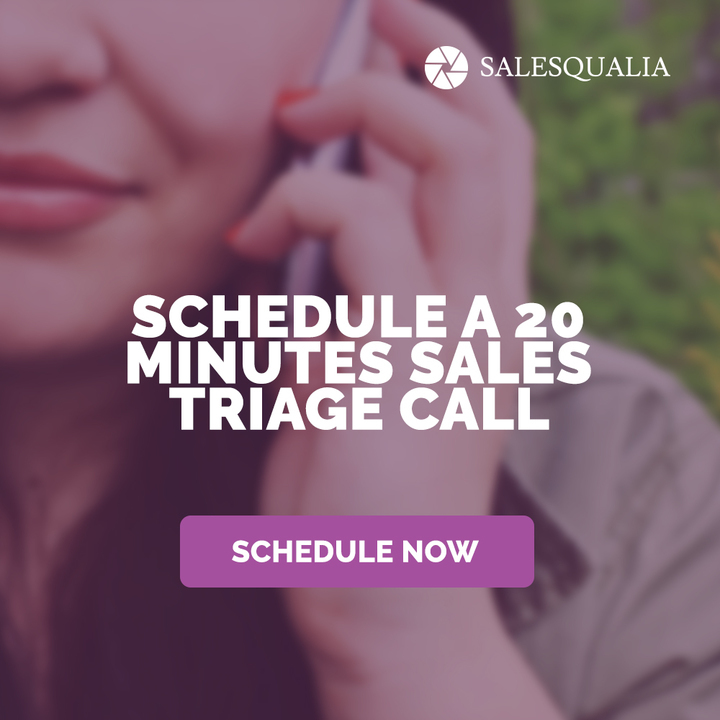 What sales reps as a whole can get better at? Sam: Sales managers generally look for the same intangibles – drive, perseverance, communication skills. What’s missing is Curiousity – the best sales people are incredibly curious about their vertical, product, process. Really driving themselves to learning and understanding every aspect of these pieces. Brendon: For example, as a rep at Salesforce, you’re going to win the deal eventually. The customer has a budget, etc. It’s mostly timing. In startup sales, you have to create demand. Not a lot of people have budget for that startup you’ve never heard of. 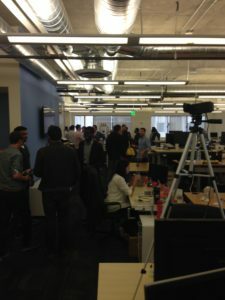 From a startup perspective, you’re looking for a smaller sale opportunity, or looking for a unique problem to solve that no one else is solving, or someone that is interested in running a pilot. This gives yourself a chance to compare yourself not against competitors, but reframing and filling a gap that existing systems don’t fill. In startup selling, you’re not often selling in a big formal process but instead looking for that gap. “You current systems are really great – let me show you have we fill like little gap you have…” Being patient. Instead of “Our CRM is so much better than Salesforce, why can’t the customers see that?” That’s the difference in selling into a niche, or creating a wedge at target customers. Sam: At big companies, I’ve seen reps with strong organizational skills, who know their ABC in the process, have a good product, and then deliver a B- pitch and still crush it. In the startup world, that initial pitch has to be so perfect with an evangelical zeal for the product and company, and you need to be able to re-motivate when you take the knocks. With changes to technology such as SaaS tools and big data products, how do salespeople approach the sales process differently now? How are these affecting sales and the sales process? Scott: As a startup, you often are latest technology or at least you’re using the latest technology. At Blend, we use Amazon/AWS for cloud hosting for all of our solutions. That makes sense from a cost and scale perspective. In our market – lenders and banks – while they are branching out and using cloud-based platforms and products like Salesforce and Workday, their core operations are still often locally hosted. The industry is still learning about the cloud and is risk averse to the cloud. Some CTOs are still learning about “the cloud.” Early in developing our sales process, customer would would ask – “Where is our customer data? If it’s not on servers, it’s not secure.” So something we thought would be a huge competitive advantage turned out to be a detraction initially. It’s easy to be in the walls of Silicon Valley and think that everyone views technology and its deployment the same way. Instead, don’t focus on the product and how it works, worry about the problem it solves because if you show the customer how your product solves their problem, the customers will figure out a way to learn how to use your product, use the cloud. Don’t think about your technology as feature, think about the customer first. Sam: Sales professionals that are able to leverage sales enablement technology to the “nth” degree. 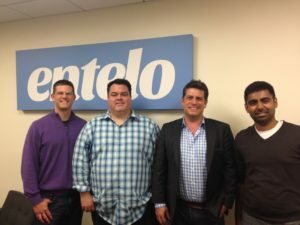 At Entelo, we’re actively looking at tools and products like InsideSales.com and Clearslide. When I see a salesperson that knows how to leverage the technology effectively without being dependent on it. Finding the right blend of sales enablement technology with the right happens. Brendon: The reps that use technology the right ways means they have a headstart in the sales process with more and better information. Good reps avoid 2-3 painful situational calls but instead can get to the value of their solution more quickly. For example, tools like Datanyze and BuiltWith provide salespeople with so much more information than before. Scott: There’s a crazy number of tools out there. 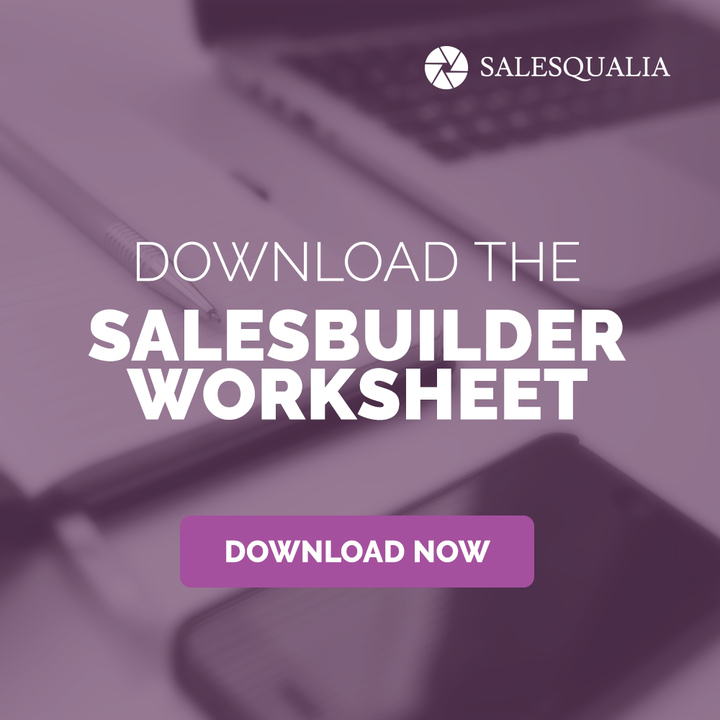 When interviewing, bring ideas with you about sales tools that you know work. Before the interview, talk with 5-10 other sales professionals and ask them about their sales technology stack. 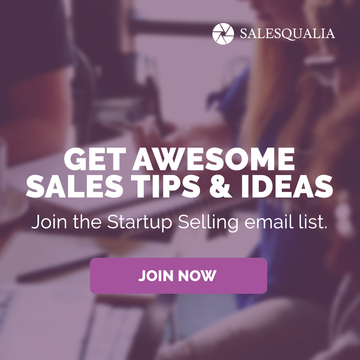 Get introductions from friends to other salespeople if you need. Do that research, so when you’re in the interview, you can bring ideas. A lot of startup CEOs don’t know what’s out there or what to use. Maybe use Salesforce because they heard they were supposed to and they’re in San Francisco. Even if you’re interviewing for an SDR job, bring ideas with you. There’s so much opportunity to influence the organization. Don’t feel like they know what the company is doing because they probably don’t know what they’re doing. They need ideas and that’s why they’re hiring. Sam: It’s interesting how infrequently the sales interviewees ask about the sales stack and tools available to them. That tells you so much about the company. What’s the best closing tool out there? Brendon: LinkedIn to leverage and apply pressure on the customer. There’s some lever there to find. Relationships are almost becoming less-relevant but still LinkedIn is a better sales product than a recruiting product. How can sales reps go from a SDR (Sales Development Rep) or AE (Account Executive) to closing big enterprise deals? What is the one piece of advice to help a sales person to get there. Scott: The size of the deal changes the number of people involved with the deal. The big, big enterprise sales will get legal, operations, IT, Security, Risk involved in your deal even though they have nothing to do with the business unit that wants to use your software. As an SDR, you’re thinking – “I have to get through my 50 calls today.” Maybe it would be better to think about the company, even sketch it out on paper and share it. That positions you as a valuable person in that decision and helps you as a strategic person in your com pay. Organizational behavior and decision-making – this will change your mindset and position you as an individual to take on bigger deals. Brendon: Hire people with the aspiration to be a VP of Sales in five years. Develop a meritocracy. Start by crushing it with SMB deals, then bring the SMB reps into bigger deals over time to contribute. Sometimes the SMB promoted reps are better than the traditional enterprise reps that have the right habits. Can be a risk if someone is thinking about being a VP of Sales when they should be focused on SMB sales. Sam: Brendon talked about sales needing to be honest and cynical. Need to be more and more honest as the deals get bigger. Too often reps going into a deal single-threaded. They think they have the best champion in the world that’s going to “make it all happen.” In reality, you’re not realistic about that deal. If you’re not self-critical, you’re dead. Knowing how to navigate your way around organizations. Knowing how to build multiple champions for a groundswell of support. Scott: When I worked at Altos Research, selling data to PIMCO, a very large asset opportunities. I kept having calls and I kept telling myself that I was making progress because I kept having calls and talking to different people. I didn’t really understand how they would use our data and the difference it would make. I didn’t get to the core reason why they would use our data. I just kept checking boxes. We got to the final call – “Who is this? Yeah, we’re not interested” and he hung up the phone on me. That was it. Sale over after six months. This was my fault – I kept looking too optimistically at the opportunity and I didn’t look at the risk and I didn’t do my research on that company and that they had a history of getting . I was trying to sell too big of an idea instead of thinking more concretely about a smaller pilot or opportunity. Sam & Brendon: Both discussed selling in 2008 and 2001 after huge market crashes and difficult global economic situations. What the perfect length of a product demo? How complex should it be? Brendon: If you’re selling a technical product to the business side, they don’t care about the gory details. Keep it 4-6 slides. For technical customers, such as when you’re selling to IT, it’s tougher to sell a value proposition because it can be a numbers game, so instead I try to focus on selling to the business side. Scott: Treat the demo as a dual track – have the business demo and the technical demo, where the technical demo might want to spend three hours looking at every click and the code. How do you placate both the user needs and executive/VP level in the same demo? Sam: These should be two separate presentations. It’s very difficult to sell to two audiences in the same presentation. Audience Member: This is a place where having a good team at the demo – say an Account Executive and Sales Engineer can play off of each other in an unspoken way to balance. Pass off and work together as a team, which can also show the customer how you work well together as a solution provider. Scott: We call it “casting” – One person is designated to an executive and the other to the director.